Happy New Year Fussy Foodies! After moving house and celebrating the festive season, I’m back on fussy foodie track and cracking on with posting all the recipes I have been collating. My first recipe is Stuffed Baked Apple. This is a very traditional english dessert easily adapated to fussy foodie needs so I thought I’d cook some up as a treat when Miranda came to stay. 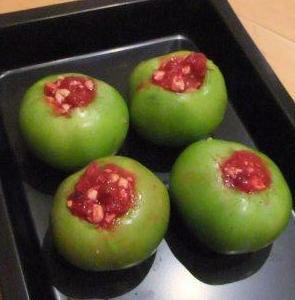 For my Stuffed Baked Apple recipe, I have used a cranberry and hazelnut filling. This is a very seasonal, delicious filling combining the crunch of the hazelnut with the tartness of the cranberries and the sweetness from the agave nectar oozing into the apple – yum! Add the fresh cranberries to a saucepan, squeeze in the agave nectar and enough orange juice up to the level of the cranberries. Place on a medium heat until the cranberries begin to simmer, turn the heat to low and leave to stew for 5 minutes, stirring regularly. 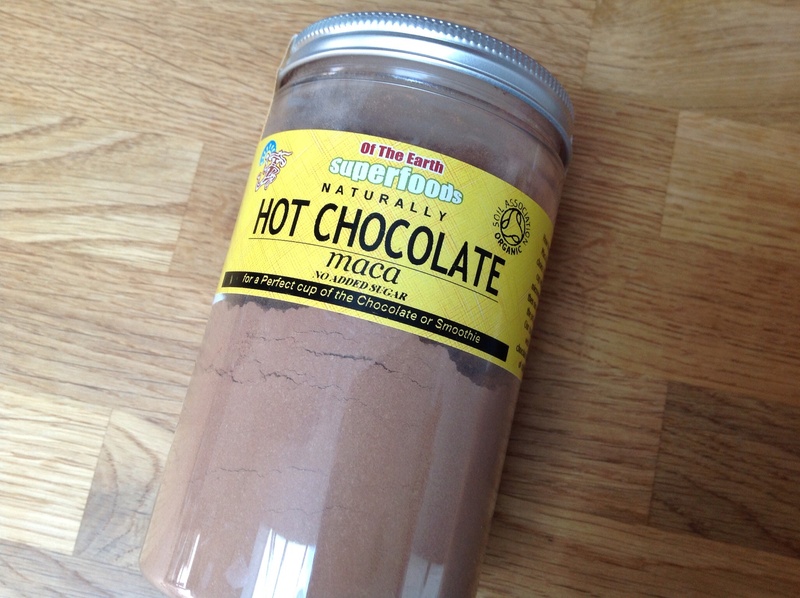 Taste and add more agave nectar if required. Meanwhile, prepare the apples. Using an apple corer, remove 3/4 of the apple core, ensuring all the pips are removed whilst leaving a base layer of apple to keep the filling in. If you do not own an apple corer, you can use a knife and teaspoon instead. Once all the apples are cored. Pierce the skin of each apple, all the way around to aid the cooking process. When the cranberry mixture is ready, remove from the heat, place in a mixing bowl and stir in the chopped hazelnuts. Place the apples on a baking tray and pour the cranberry mixture evenly between each apple. Place in the oven for approximately 30 minutes. Remove from the oven when they are soft / your desired texture. Overcooking the apple will cause them to collapse so keep a watchful eye on them! Serve with a dollop of Oatly Cream, Vanilla Booja Booja Ice Cream. Stuffed Baked Apple – delicious, seasonal, heart warming english food fussy foodie style! 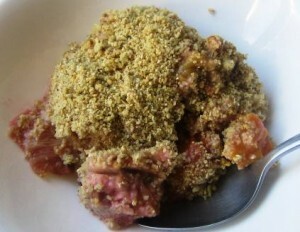 Now these rocked – loved the nutty twist and with a Dollop of Booja Booja you cant go wrong. What can replace the hazelnuts for nut allergies?